My friend Jeff drove over from the coast today, quite early I might add, and we took our daughters fishing today. 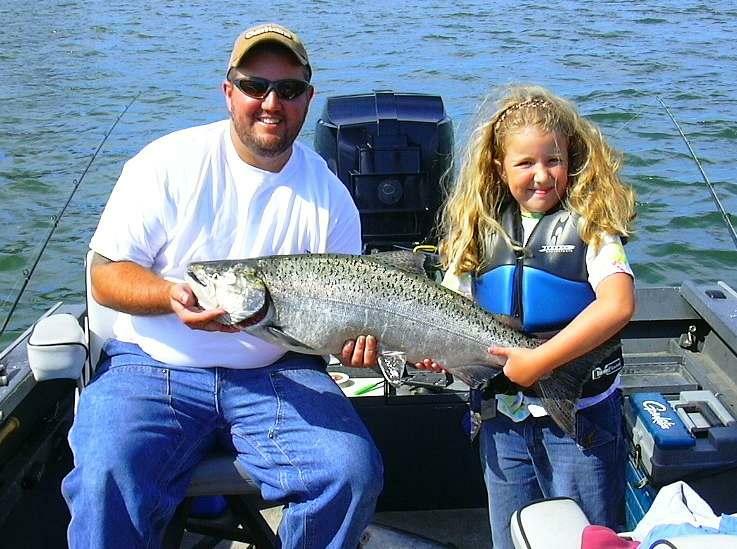 We didn't pound them by any means, but each daughter did get to reel in a nice salmon. Way to go kids!